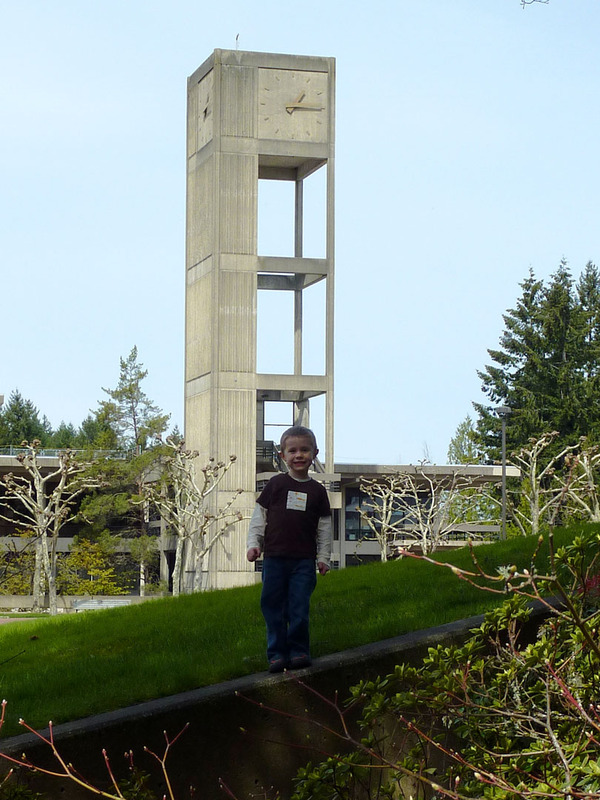 We went to Olympia, WA last Saturday to celebrate the 25th Anniversary of the MES Program at Evergreen, from which I graduated in 2001. The event was held in conjunction with the annual Rachel Carson Forum, which honors Rachel Carson and features a prominent environmental leader. This year’s event also featured breakout session. 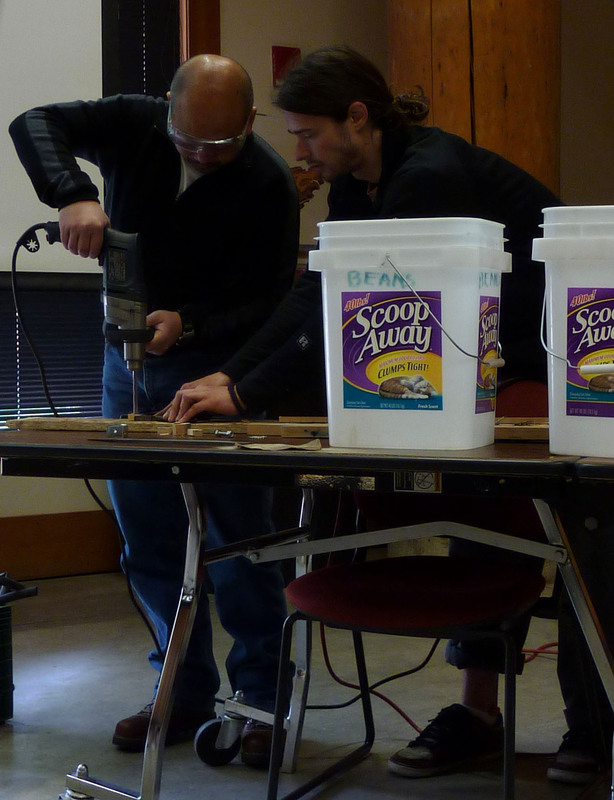 We participated in one workshop on how to build bike panniers out of recycled buckets, which was co-led by one of my professors from the MES program, Gerardo Chin-Leo (left). 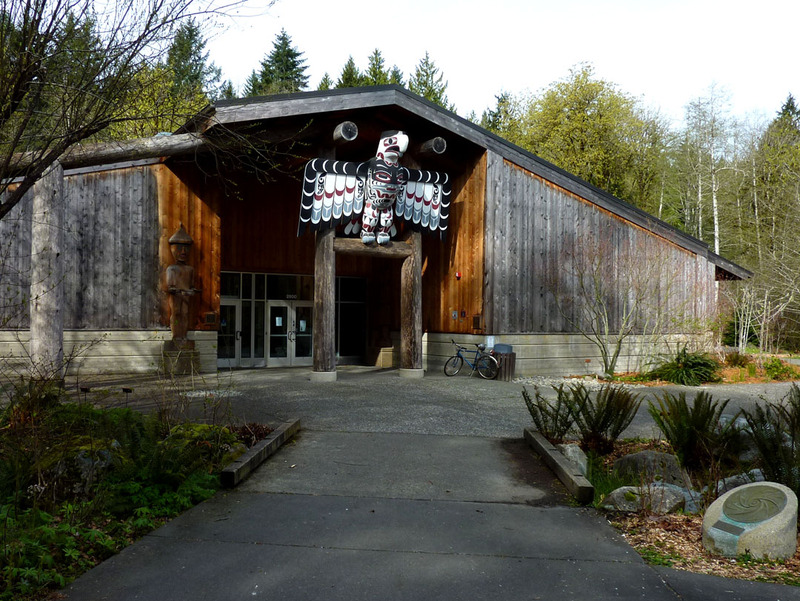 We also went on an Ethnobotanical Garden Walk, which highlighted the native plants around the Longhouse where the event was held. The project is being overseen by Marja Eloheimo. She was the Ethnobotany professor who co-taught of one of my undergrad classes, Plants in Human Life. I still have the plant journal I made in the class. The botany professor of the teaching team, Al Wiedemann, nearly locked up the brakes on the van during one of our amazing field trips to the Olympic Peninsula when he spotted a rather large stand of Cow Parsnip on the roadside. In case you were wondering, I loved being a student at Evergreen. 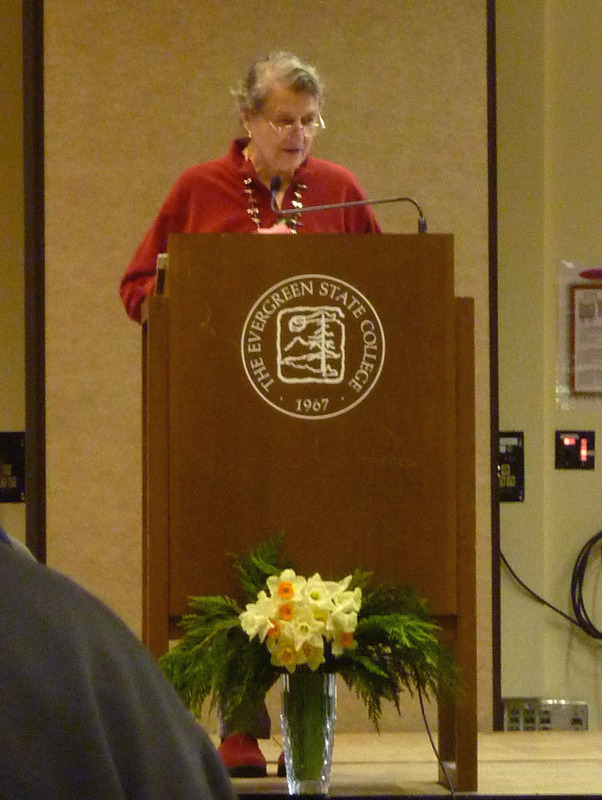 The keynote speaker at the Rachel Carson Forum was Dr. Estella Leopold (daughter of Aldo Leopold). She spoke on “Upon Becoming a Conservationist”. She remarked that, “Before Earth Day we were all conservationists, now we are all environmentalists.” I have spent the last few days pondering this distinction. I can see how the definitions have divergent meanings, but they also overlap. As wholeheartedly as I would admit to being an environmentalist, I do think that there is sometimes a stigma attached to the word itself. As dedicated as many conservationists have had to be in order to achieve successful protection of a species or a piece of land, their work typically takes a quieter approach than that of many environmentalists. Rob and I held a mini Evergreen style seminar the other night about the two words. He brought up Julia Butterfly Hill. Was she a conservationist or environmentalist? I think that she is definitely an environmentalist, but in her heart, as she sat in Luna, she was trying to conserve a tree, a forest and an ecosystem. Maybe the use of the word conservationist should be brought back to create space in the movement for those who do want to protect the environment, but don’t want to be labeled an environmentalist. We need letter writing campaigns and civil disobedience to bring about change in our world. Aldo Leopold and Rachel Carson are both conservationists and environmentalists according to Wikipedia. I wonder how they would describe themselves today. 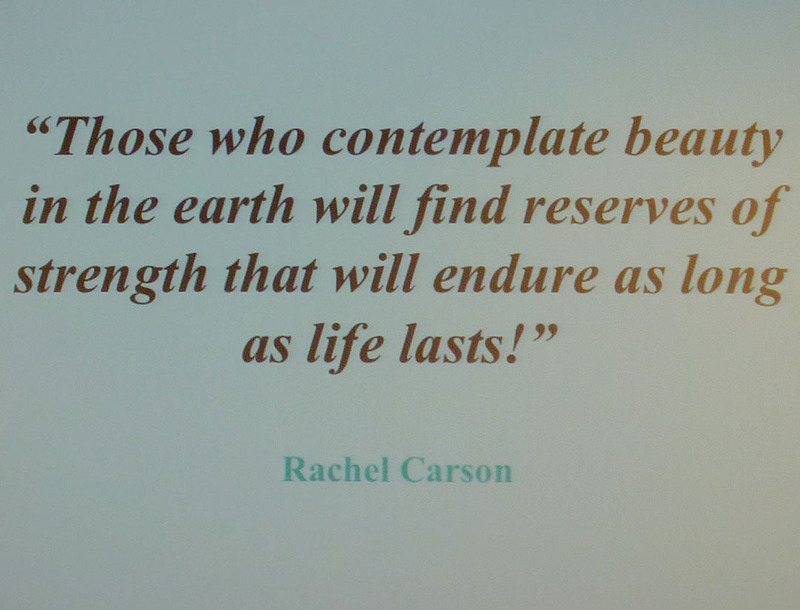 Dr. Leopold began her talk by sharing her reverence for Rachel Carson and her work. She included the quote on the slide at the top of this post. It was new to me, but I am so glad to have learned it. It is especially poignant to think of Rachel Carson finding strength in those words when she was enmeshed in so much ugliness while writing Silent Spring. She was challenged both professionally and personally. Ms. Carson left her first love, the sea, to focus her work on the terrestrial landscape and demise of songbirds. I read The Edge of the Sea, which predates Silent Spring, to Henrik at bedtime around the time he turned two. The vocabulary surpassed his comprehension, but the book was so lyrically captivating that he never asked for another book. I often sat in his room long after he had fallen asleep and kept reading. There is never a shortage of grim news headlines. It is so important to remember that there is beauty everywhere and by seeking it out, we can be renewed. Ms. Carson’s love of the sea came through clearly in The Edge of the Sea. I would highly recommend reading it. Dr. Leopold highlighted many successes in protecting the Earth’s ecosystems. Then she launched into her main topic, which was about climate change. She said that “glaciers had formed over geologic time, but are melting in our time”. Dr. Leopold spoke through the lens of her experience as a botanist and a paleontologist. 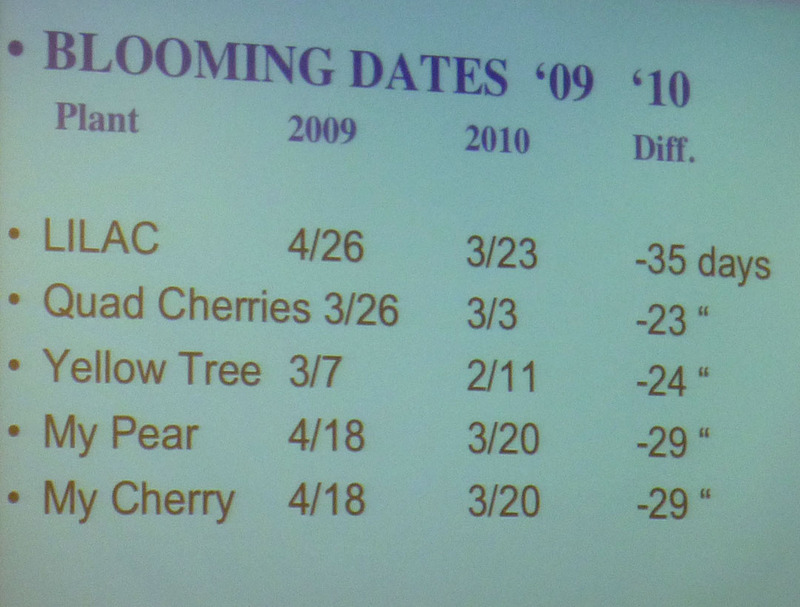 She shared her recent observations that the plants in her yard in Washington were blooming 2-3 weeks earlier than last year. She also shared her sister’s data from Wisconsin, which also included Aldo Leopold’s data from the same piece of property. 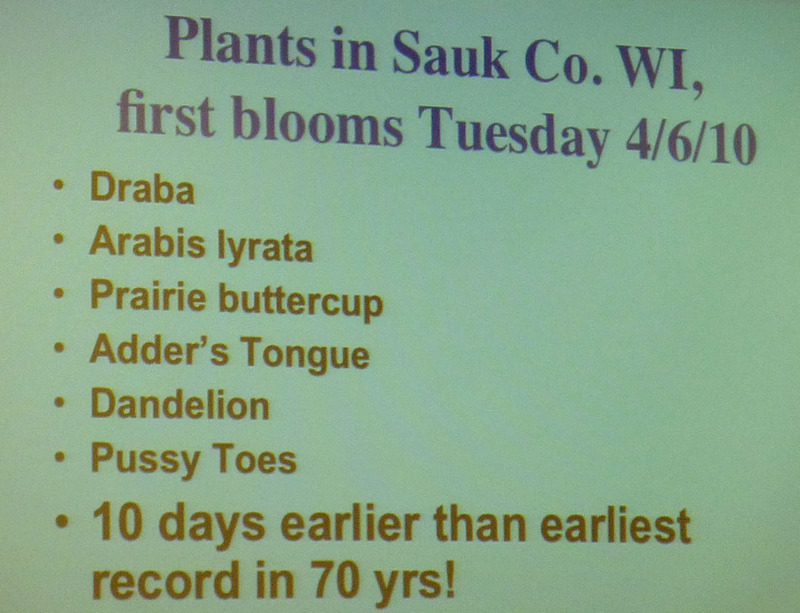 This year’s plants bloomed earlier than any previous year over a 70 year period. Dr. Leopold spoke of the Cascade Effect when the animals and plants fall out of synch. 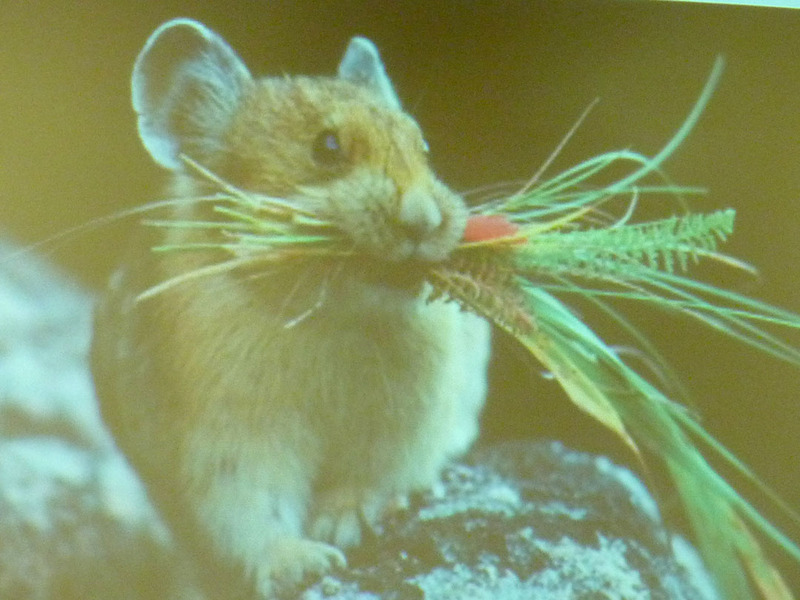 The pika is coming out of hibernation before the vegetation is ready for their feast. 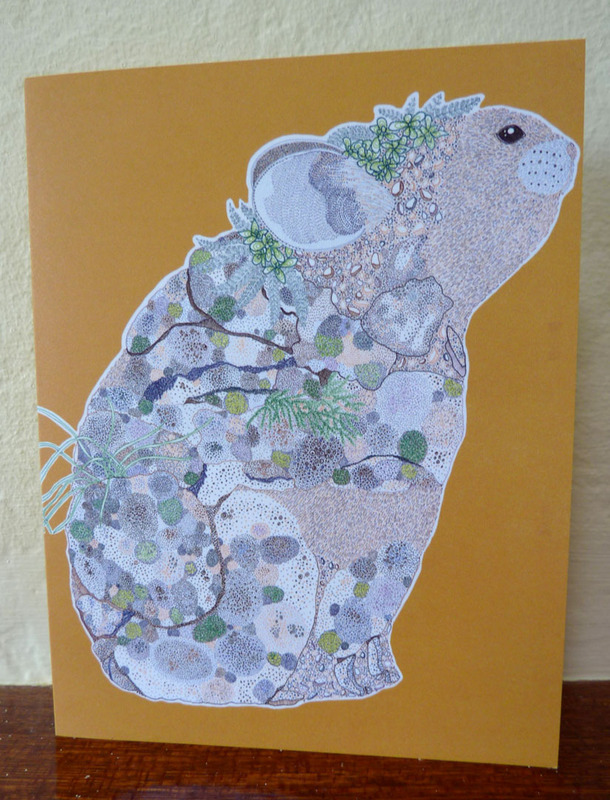 Henrik just picked out this cute pika note card at Jill Bliss’ current gallery show at Pushdot Studio. It is also available from her Etsy shop. The earth’s climate is changing. Whether we are the cause or just contributors to this change may never be known. We do know that at no point in geologic history has one species inflicted such widespread environmental degradation on the Earth as during our current history. Earth Day is this Thursday. Climate Change is listed as one of the Core Issues for the Earth Day Network. Anna Lappé will be at Powell’s tonight. I am really looking forward to the event. She will be introducing her new book Diet for a Hot Planet. There is a great video about her new book on her blog. She states that, “Our food system is responsible for as much as 1/3 of all green house gas emissions.” I am looking forward to hearing her speak and getting fired up (no pun intended) for Earth Day. Hint: Henrik is wearing it. More to come…. This entry was posted in Beauty, Enjoy, Environment, Family, Food Security, Learn, Precautionary Principle, Quilt Block Tees, Read, Road Trip, TESC. Bookmark the permalink. thanks for including my pika in your post! i meant to go to the anna lappe event, but something else came up. hope it was good! 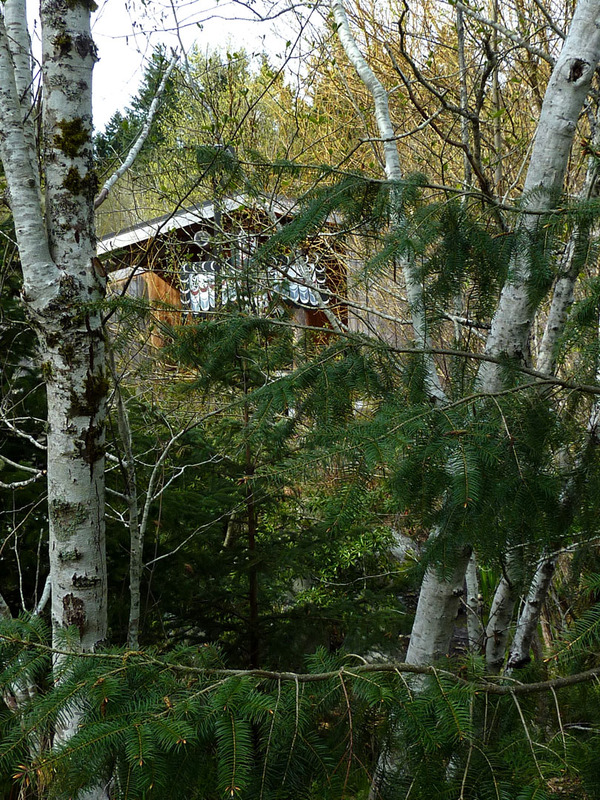 This entry was posted in Beauty, Enjoy, Environment, Family, Food Security, Learn, Precautionary Principle, Quilt Block Tees, Read, Road Trip, TESC, Uncategorized. Bookmark the permalink.